Every month we are going to be blogging about some amazing and inspiring people from all walks of life and introducing you to some interesting therapies, inspiring companies and sharing some incredible individuals stories. This month we have been chatting to Bristol based runner and Mum, Jen Forster. 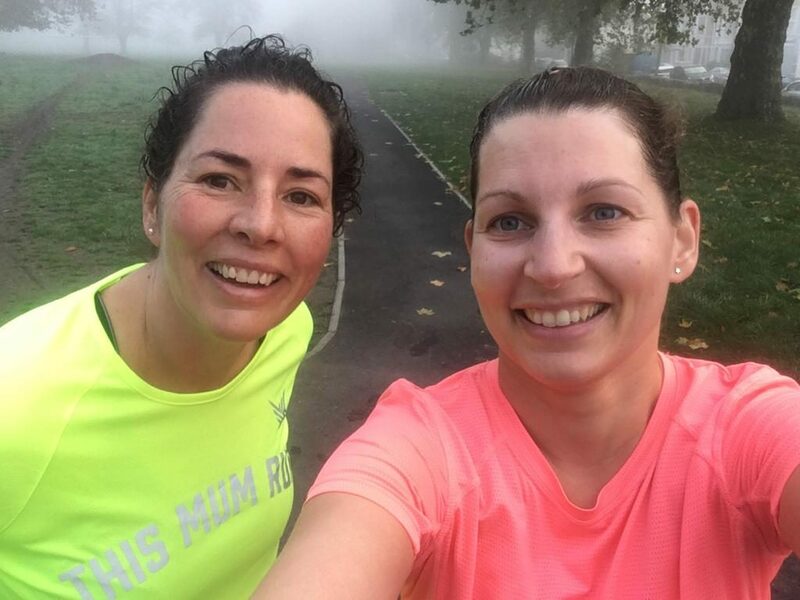 BMC owner, Polly, met Jen through This Mum Runs which is a community of women on a mission to be happier and healthier. Together they have battled through all elements, the heatwave of 2018, then the beast from the east, and now regularly run together with other females in Bristol. 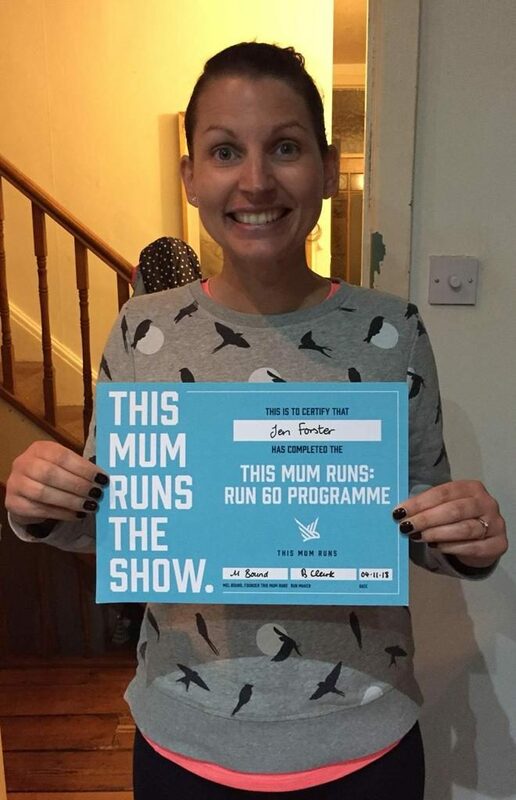 Here Jen tells us a little bit about what made her become a runner and what inspires her…..
Jen on completing the TMR Run60 programme. Q: Jen, can you tell us a little bit about yourself? A: I live and work in Bristol, living in the Windmill Hill area of the city, it’s a great area to live in with a lovely community, fantastic park and loads of local shops. 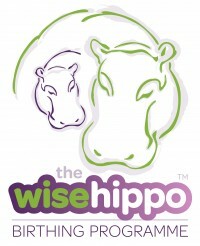 I work at We The Curious (which used to be At-Bristol Science Centre), so walk in to work most days; my daughter Zoe goes to school just nearby too, so we get our mileage in as a family! Q: How did you get involved with This Mum Runs (TMR)? A: I was looking at my Facebook feed last year and saw some photos of some of my friends who had finished the Bristol 10K – they looked so happy, and I felt so proud of them and thought “I wish I could do that” and then thought “hang on, I CAN do that”! But, I couldn’t actually run any distance at all, so a friend recommended TMR and the Run30 course. I signed up in June 2019 and completed Run30, before then signing up and completing Run60 before Christmas. Q: How did you feel before your very first run? A: I felt both nervous and excited, more excited I think! It was great, meeting lots of other women in exactly the same position of me, and learning all about who we’d progress through the programme. I felt so chuffed after my first session! Q: Running can be hard work. How do find the time and motivation to run especially with children? A: It is hard work to find the time – as a working parent with a child in school, finding time can be a challenge, but I’m starting to find a pattern. I tend to run twice a week (three times if I can), normally an evening run (which requires my husband to be back in time for bedtime) and then an early morning run on the weekend, when my husband and daughter are still in bed! The motivation totally comes from the friends that I’ve made during my running, as I often run with them – it’s the best tonic, having a chat with friends and being active at the same time. Q; How has running changed you and your perspective about running or runners? A: I’m really surprised how much it has changed me, and how much I’ve enjoyed the journey into becoming a runner. I’m learning loads of new things about myself all of the time (such as how running can affect or lift my mood, running and treating injuries), and what levels I push myself to. It’s also changed my body shape a bit, my legs feel stronger, and my tummy feels more trim, which is a welcome bonus! I’ve always admired people that could run, and make it look enjoyable and easy – I’m not sure I’m one of those, but I’m proud to say that I’m a runner now! I’ve signed up for a few 10K events this year (including the Bristol 10K, which is where it all started for me), which I definitely wouldn’t have done last year! Q: What is the best thing about TMR? A: It’s impossible to say just one thing, but the people, the community and the support is AMAZING! Q: Who or what are you’re inspirations? A: My friends who I run with, and the amazing ladies of the TMR community inspire me every day – it’s so refreshing to see a positive and welcoming environment where achievements of every level are celebrated – whether it’s a half marathon, someone’s first run since having children, or something else entirely, it’s super inspirational. Q: What are your running goals for 2019? A: Well I’ve signed up for the Bristol 10K, as well as a few others, so I think I’ll be started a little collection of running numbers and medals hopefully! My aim for my first 10K is just to finish it, but I daresay that a few races in, I’ll probably be trying to beat my time. Running is addictive, in a really great way, and I’m really proud of what I’ve achieved in the last year. I’m looking forward to the next step of my running journey in 2019!